I’m sure you’ve probably seen the TV program The Ultimate Fighter? Ultimate or not, there’s little denying it is entertaining in parts whether it’s Rampage Jackson acting like a 5 year old and destroying a set door or listening to the verbal diarrhea that comes out of some of the fighter’s mouths. But the main reason I watch it is for the training drills that they do during the show. Sometimes I pick up a couple of new drills or exercises to try out on my students. If you didn’t catch last week’s episode here are a couple of push-up variations you can use in your classes. Start by taking the regular push-up position but instead of going all the way down to the floor, lower yourself half way and then push up as fast as you can so your hands leave the floor (your feet stay where they are). Try to get about 1 inch of “air” with each hop. These push-ups are done rapidly and explosively and you’ll feel your deltoids (shoulder muscles) getting a good work out. Do 20 as a warm-up exercise, or 3 sets of 20 as an endurance exercise. Perform a regular push-up with full extension, but as you come up to the up position put your weight on one hand and touch that hand with the other. Then repeat and switch hands so that you are alternating balancing on your left hand then your right hand. This is a good little variation for balance, control and strength building. Try these out in your classes this week and let me know your student’s response! P.S. The Ultimate Fighter is on Spike at 10pm Pacific Time on Wednesday nights here in the States. Not sure when it’s on elsewhere but I’m sure you could do a Google search and find out faster than you could throw a 1,2. It took them 45 minutes and 6 different operators to finally resolve the issues… Oh, no wait. Let me rephrase that. It took them 45 minutes and 6 different operators to resolve 1 out of 3 issues I have with them regarding our account. Years ago we had Verizon for phone service and got messed around with by their billing department (basically they kept charging us after we canceled service), and I swore I’d never use them again. As it’d been 5 years since then I thought everyone deserves a second chance, right? Well, let me tell you nothing’s changed. And the stupid things is the signs were there before we signed up again. Distant voices crying out telling us to stay away. Friends reporting weird things were happening with their FIOS, PPV events crashing during service, and horrible tech/customer support. Needless to say, I’m very disappointed with paying what we pay for what we get. Yet, we’re locked in for 12 months and if we cancel service before then they’ll hit us with a hefty early termination fee. Now I realize I can fight them tooth and nail and ultimately probably get out of it all without having to pay anything further, but since it took me a minimum 45 minutes to resolve just one issue, I’m not hopeful that cancellation would be headache-free. At the end of the day, I just want what I pay for to work properly and be worth it. Ok, so enough about Verizon. What the heck has this got to do with karate? What is the message you send to your students, family, friends and community about your dojo? What is the general word of mouth? Is your place well liked? Well respected? Does it get recommended by others? Is it remarkable (in a good way)? Verizon gets away with it because they’re no longer a small business, have a huge marketing budget and can churn customers over without much care. You can bet your bottom dollar they didn’t start out that way. However for a small business that’s trying to prosper in challenging economic times, failure to provide is business suicide. Do you consider yourself a martial arts instructor, teacher or coach? 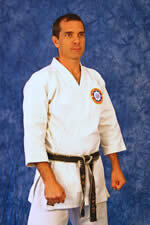 When I first started teaching karate I thought of myself as an instructor. Then a few years ago I decided I wasn’t an instructor anymore, but a teacher instead. And recently I’ve changed my mind again – I now see myself more as a karate “coach”. While the differences may be subtle at first glance, the words you choose to describe yourself can have a great impact on the actions that you take, and how you are perceived by others. When you think “Karate Instructor” what’s the first thing that pops into your mind? For many people it’s “drill sergeant” or something similar. The image is a hard-nosed, tough guy who barks orders, walks the lines and gets in student’s faces. This person dishes it out and has one volume level – LOUD! This type teaches at a group level, doesn’t accept any questions and teaches with intimidation. Students are mostly anxious when this person is in charge. When you think “Karate Teacher” what do you think? I think of someone who takes more time to explain the details than the instructor. Someone who is passionate about what they do. They’re approachable and encourage and are happy to answer questions. I think of a teacher as someone who wants their students to learn and do well. Again this person teaches mostly at a group level. If you’re anything like me you’ll probably associate “coach” with training someone on an INDIVIDUAL level, instead of group level, yes? Obviously as karate sensei we need to be able to communicate at both group and individual levels, but too often instructors spend too much time with the GROUP and not enough with the INDIVIDUAL. A good coach knows each of his students, their strengths and weaknesses, what they need to work on and how they receive and interpret information. An instructor in the context of this article, tends to communicate on one level and if the student fails, it’s their fault – not the instructor. But a coach tends to look at the situation differently. If a student isn’t up to standard, the coach is willing to share some of the responsibility for the student’s shortcomings and looks for new ways to improve their skill sets. And which would you rather be?